Are test-optional colleges more diverse? As more colleges eliminate standardized tests from their admission requirements, the long-standing debate about whether test-optional schools provide more diversity on campus is still going strong. Studies have documented a correlation between family income and test performance. The higher the income, the more opportunities for test prep classes, which in turn increase scores. This typically leaves low income families, including many minority students, at a disadvantage. Our experience shows that test scores do not always reflect a student’s strengths and abilities and we have a great appreciation for colleges that are test-optional, interested in understanding all facets of an applicant. One significant question remains to be answered: does a test-optional admission policy really diversify a college campus? In today’s article from Inside Higher Ed, writer Scott Jaschik lays out all the evidence. After reviewing this article, what are your thoughts? For a full list of schools that have a test-optional or flexible test policy, please visit www.fairtest.org. Each year, more colleges announce that they are ending requirements that applicants submit SAT and ACT scores — joining hundreds of others in the “test-optional” camp. Just this week, Augsburg University in Minnesota made such a shift. The university’s announcement said that the policy had strong faculty support and was seen as likely to boost the diversity of the student body. High school grades in college preparatory courses are the key to good admissions decisions, said officials there, just as their peers have said at many other institutions. Now that most schools are in session, we hope everyone is settling into the groove of routines and schedules again. September is the month for all juniors and some sophomores to register for the October PSAT, so this article is perfectly timed to share. School counselors will share details about the PSAT calendar and how to register. 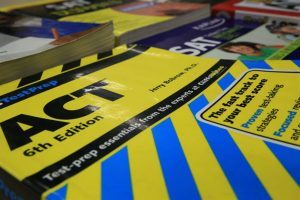 Many seniors begin the year with plans to retake either the ACT and/or the SAT (some took advantage of the College Board’s August test date). But juniors and their parents often ask how to determine which exam is right for the student. Most of you have discussed with us taking an ACT practice test to compare to the PSAT; according to the US News article linked below, evaluating your performance on the PSAT and the Pre-ACT is also a helpful way to determine which exam is right. We can compare results, consult a concordance table, and then develop a plan for tests and dates to follow. One important note: although the article suggests otherwise, all colleges weigh the ACT and SAT equally now, so there need not be concern about any college preferring one over the other. Choosing between the ACT and SAT is a pivotal decision that all college-bound high school students must make. One of the key steps in reaching an informed decision is to sit for an official practice test – the PreACT or PSAT – which give you a better idea of what to expect when you take the official college entrance exams. In addition to considering other factors, such as whether your top-choice schools prefer a specific standardized exam, your performance on these pre-exams can help guide you in choosing between the ACT and SAT. Cold weather and snow put us in the holiday spirit and believe it or not, when we hear of the Three Wise Men we begin to brainstorm about other things that come in threes. Let’s see: three colors on a traffic light (which we’ve appropriated for color-coding admission estimates); three tennis balls to a container; and, oh yes, three subscores in the PSAT – reading, writing and mathematics. Juniors received PSAT reports last week, which is why the PSAT is top of mind. And with scores in hand, it’s time to solidify testing plans for the coming semester. When thinking about a master calendar for taking the SAT or ACT, it’s wise to think about the “rule of three.” In other words, students should plan for three test dates each for the ACT and/or SAT, with the understanding that great results could eliminate the need to test a second or third time in either sphere. Ahead of each test date, students should prepare and polish. In some cases, this will mean a test prep class; in others, tutoring. A gifted and motivated student may even choose to prepare independently. But it goes without saying that all students should prepare in the way that best matches their needs and learning styles. Many Shrop Ed students will identify two ACT test dates in the spring semester, reserving their third and final test for the fall of senior year. Many will do the same where the SAT is concerned. Early fall testing – September ACT, August (new!) or October SAT – produces results in time for Early Action and Early Decision deadlines, happily. 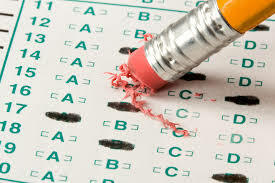 Students taking Subject Tests at the end of the school year will fold this College Board test date into the overall testing calendar. Although the number of colleges requesting Subject Tests has been shrinking steadily, a few colleges do continue to hold out for them. Of course, we’re here to steer students toward the right choices and happy to answer questions that parents may have. The Shrop Ed office will be open on most days over schools’ winter break, although in some cases our office hours may be a little shorter. We’ll appreciate your generous spirit if our response time isn’t as speedy as usual. Our blog will be on holiday break, returning on January 3rd. Best wishes to all in the Shrop Ed community for happiness, peace and joy in the New Year!